For UPS customers, The first step is to create a postage label. (green arrow) *Important note: if you purchase a postage label through this interface, you will no longer have to purchase one from the UPS store if you intend to drop off the order there. You should now see a popup that looks similar to what is pictured below. 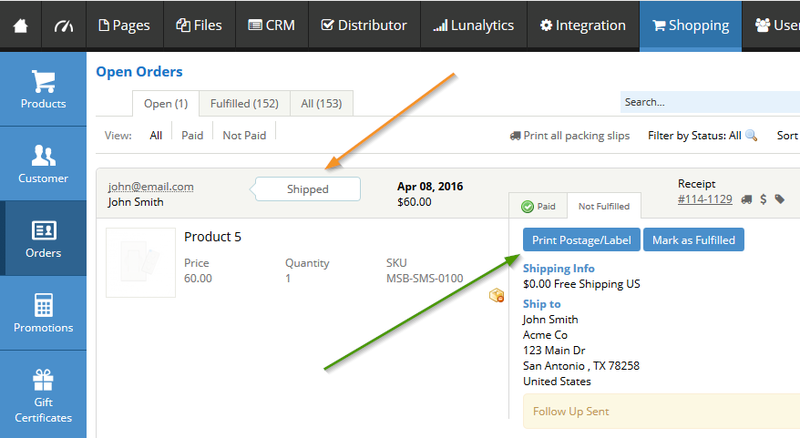 Update the "Status" dropdown and type the message you would like emailed to the customer in the content area below that. Click on the gear icon (red arrow) to add information dynamically to the message. If you want to add the tracking number to the email, click the appropriate tracking variable to add it to the content area (purple arrow). 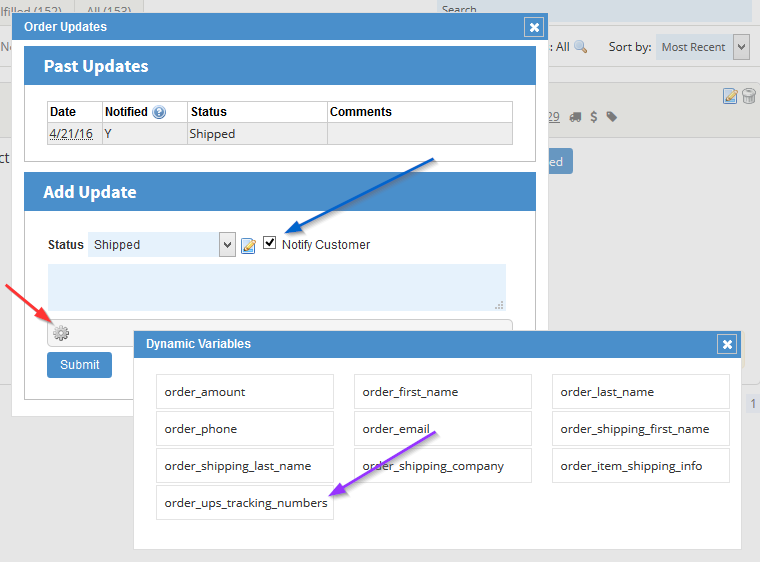 Once the message is ready to send to the customer, check the "Notify Customer" box (blue arrow) and then click Submit. The customer will then get an email with the order update.